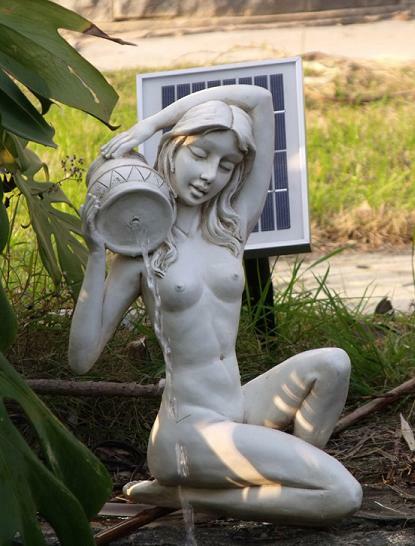 This fun and exciting Solar Lady Kneeling Pond Spitter Pump is a perfect addition to any pond or other water feature. The pump kit with 2 Watt solar panel works in the daytime only so greats solar energy. With this kit you can enjoy a beautiful water feature and have a wonderful art piece as well. Would look great in a garden pond setting, or Koi Pond even. With this great white solar fountain it is sure to wow your friends and family, it is like a small waterfall for your back yard.